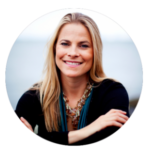 Vanessa Loder is a women’s leadership expert, renowned speaker and the founder of the Career Program createworkyoulove.co. She has been featured in Fast Company, Forbes, Women’s Health and Glamour Magazine. Her Tedx talk “How To Lean In Without Burning Out” has over 100,000 views.